EFG Hermes Named "African Investment Bank of the Year 2011"
EFG Hermes Named “African Investment Bank of the Year – 2011” on Sidelines of World Bank and IMF Meetings in Washington, DC. EFG Hermes, the largest investment bank in Africa and the Arab World, is named Africa’s “Investment Bank of the Year - 2011” by African Banker magazine. The firm is the first Egypt- and Arab-world-based investment bank to win the prestigious accolade. EFG Hermes, the leading investment bank in Africa and the Arab world, was named “African Investment Bank of the Year” at the annual African Banker awards last night in Washington, DC. 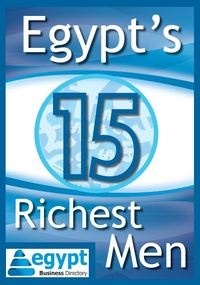 The firm is the first investment bank based in Egypt and the Arab world to win the prestigious accolade. In 2011, EFG Hermes has advised Wind Telecommunications on a transaction that led to the USD 25 billion creation of the world’s sixth-largest mobile telecommunications operator, a deal that saw the firm top the Arab world’s M&A league tables in the first half. The firm has also closed the USD 1.2 billion sale of 50% of Orascom Telecom Tunisie to Qatar Telecom and the USD 400 million sale of Olympic Group to Sweden’s Electrolux. Its advisory on Japan Tobacco’s USD 450 million acquisition of a leading Sudanese venture is now moving toward closure.